SAP HANA is evolving into the leading technology platform: There are more than 1,200 startups from 57 countries building applications on SAP HANA. Since the course ended, a large number of people have joined to take the course as self-study, demonstrating the popularity of the course. Although Vishal Sikka has recently resigned from the SAP Executive Board, the information in this course remains relevant and provides you with a unique insight into SAP HANA. If you have ever asked yourself why SAP needed to build a new database, or how SAP HANA works, or even how SAP HANA helps our customers to run better, then this course is ideal for you. You don’t need any experience with SAP HANA or software development to take this course; all you need is the desire to learn about SAP HANA and why it is considered such an innovative product. This course was held from March 17 through April 14, 2014 and from July 7 through August 1, 2014. We issued 8399 graded records of achievement. SAP HANA is the most talked about SAP innovation in recent times with over 3,200 SAP HANA customers since June 2011. All SAP products are moving to SAP HANA, but do you know what SAP HANA is or what it does? Join Vishal Sikka, former member of the SAP Executive Board, where he explains the idea behind SAP HANA and the reason why it was created, life before SAP HANA, and how SAP HANA can help SAP’s customers to run better. This course is aimed at anyone interested in learning about SAP HANA. You don’t need to have any technical knowledge to understand the concept of SAP HANA, which is explained easily and informally by Vishal in this overview. After the course, you will have an understanding of how SAP HANA works, how quickly it can perform tasks, and how it has helped existing SAP customers. This is a special edition openSAP course; your total learning time will be just two to three hours and all the content is already available. The course is broken down into five units consisting of nine videos, with self-tests for you to complete after each section. Your results will not be saved; they are just for your personal use. At the end of the course, there is a course assignment. You can complete the assignment at any time, but be sure to submit it by August 1, 10pm Central European Summer Time (CEST). If you complete the course assignment successfully, you will receive a Record of Achievement. The online discussion forum will be available for you to collaborate with other learners and SAP HANA experts. The forum will be monitored by experts from July 7 through to August 1. After this time, you can still access the course content, but you will not be able to reply to or create new discussions within the forum. You don’t need to complete the course in one sitting. Feel free to dip in whenever you have a spare ten minutes to complete the next unit and learn about this exciting SAP innovation. 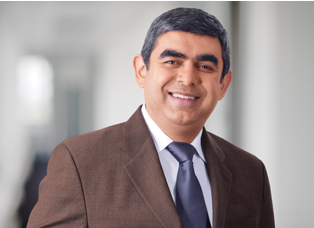 Vishal Sikka was a member of the Executive Board of SAP AG and the Global Managing Board (2010-2014), leading all SAP products and innovation. Vishal was globally responsible for the development and delivery of all products across SAP’s product portfolio, including Applications, Analytics, Cloud, Database & Technology, and Mobile. He was also responsible for leading the design and end-user experience for SAP, and driving all innovation globally. Vishal led the development and delivery of SAP’s breakthrough in-memory platform, SAP HANA. Vishal holds a doctorate in computer science from Stanford University in California, and his experience includes research in artificial intelligence, intelligent systems, programming languages and models, and information management and integration – at Stanford, at Xerox Palo Alto Labs, and as the founder of two startup companies. This course was held from Jul 07, 2014 through Aug 01, 2014.